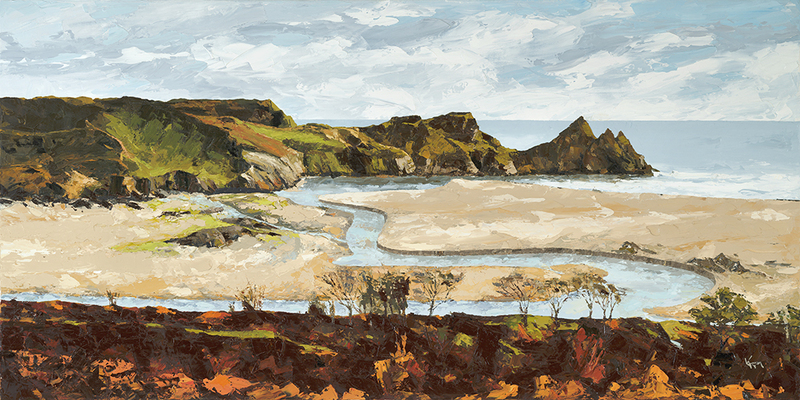 This is my third painting of the Three Cliffs. 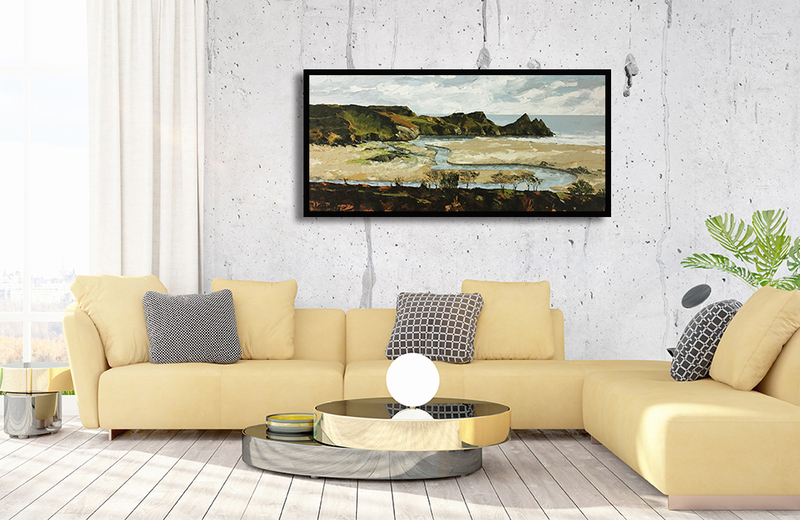 Having moved to Machynys Bay which overlooks the Gower Coast, I regularly visit this area of the Gower Coast which is simply breathtaking and having recently been cited as one of Britain’s best beaches, it is no surprise to find that I have once again produced another painting of Three Cliffs Bay. This bay actually consists of several smaller beaches and coves including Pobbles Bay to the east and Tor Bay to the west. Whilst separated at high tide these beaches can be reached from each other by foot at low tide over the sands. Like the previous two paintings, I thoroughly enjoyed the process of painting this spectacular scene but on this occasion, on a much larger canvas.